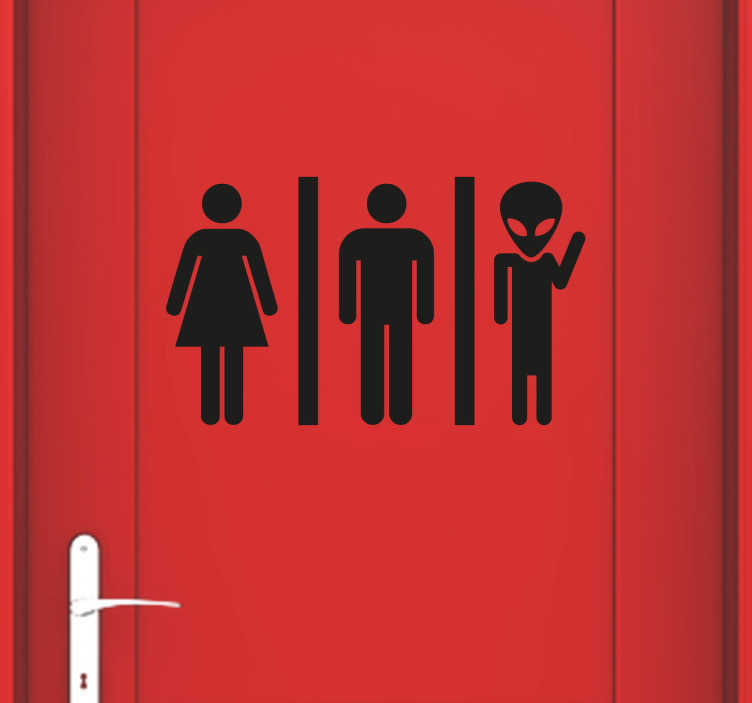 Alien toilet sign sticker to show your guests where the bathroom is in a fun and unique way. This silhouette design shows a male symbol, a female symbol and an alien symbol to create a funny space atmosphere in your home or business. This durable door sticker is available in various sizes and 50 different colours.